Vitalsens, a multi-parameter, body-worn, wireless monitoring device by Intelesens, has won CE class 2a regulatory approval for use in Europe. Vitalsens is a wearable non-intrusive health monitor comprising a disposable electrode patch and a reusable clip on transmitter. 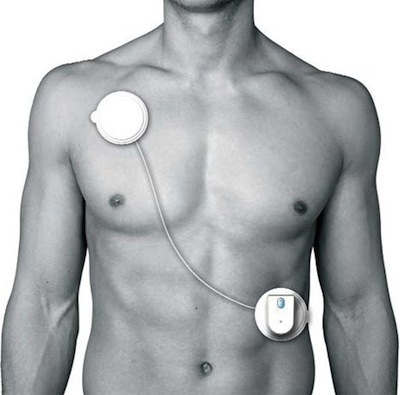 Data relating to the wearer's health, including heart rate, ecg, temperature and levels of activity are measured in the chest area and transmitted via Bluetooth to software residing on a pc or laptop in the wearer's home or in a ward. This health information can then be accessed by the clinician either locally or remotely. On-board intelligence monitors for and triggers on medical events, eg arrhythmias, transmitting data immediately for access by the clinician via the Internet. 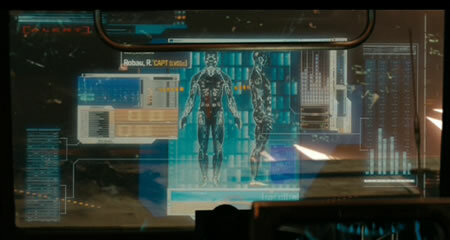 Judging by the most recent Star Trek movie, this kind of technology is also approved for use by Star Fleet officers, as in the opening scene when the captain takes a shuttlecraft to the alien ship. And is monitored remotely back on the ship. From Intelesens press release via MedGadget.